Ever since Pope Leo XIII’s social encyclical Rerum Novarum in 1891, such “declarations” have been increasingly made, which appeal to greed, dissatisfaction of the poor and the worker’s plight. They are aimed at stimulating a sense of restlessness, needing more and that they really can have more! It is always associated with an aura that the papacy has a leading interest for the poor. Pope Francis, incidentally, is the “most influential” Twitter in the world. His messages are “re-tweeted” on an average of over 11,000 times – far more than his closest competitor, President Obama. 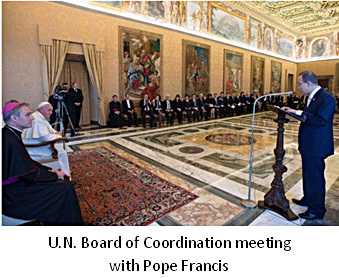 On April 9, 2013, the United Nations Secretary General Ban Ki-moon met Pope Francis at the Vatican’s Apostolic Palace. It was from there that the Secretary General told the world that this pope was a needed “man of peace and purpose” for the world. That began an accelerated bonding between Rome and the U.N. This man comes from Latin America where the radical “Liberation Theology” movement was popularized by a Peruvian priest, Gustavo Gutiérrez, in 1971. In September, 2013, Pope Francis welcomed this man to the Vatican, noting that his ideology must no longer remain in the shadows. This movement sees social problems as a sin, especially as they relate to the poor. Pope Francis perceives his role as an activist, helping to “resolve” those moral issues. The Pontifical Academy of Science convened a workshop on May 2-6, 2014, called “Sustainable Humanity, Sustainable Nature: Our Responsibility.” Scientists from all over the world attended. Geo-religious bodies are being urged to morph into geo-politics. This should be of deep concern to religious organizations since it could set a precedence, demanding solidarity over other emerging issues of global interest arise. Ban Ki-moon made an amazing gesture on May 9, 2014. He flew 29 of his key U.N. agency heads (chief executives of the Board of Coordination) to meet with Pope Francis. It was during that meeting that this pope pled with those world leaders to redistribute the wealth of the rich to the poor. This was another appeal to the greed of the world’s citizens. This remains a part of the Catholic social doctrine agenda spawned in 1891. Cooperation between faiths and the secular world! Commensurate with that growing coalition between Rome and the United Nations, the Pontifical Academy of Sciences called a meeting entitled, “International Symposium on Climate Change.” It met April 28, 2015. World leaders in science, religion and politics were present, including the Secretary General of the U.N.! Attending this meeting was a leader of unique interest – Jeffrey Sachs. He was and is a special advisor to the United Nations and director of the Earth Institute at Columbia University. He made a frontal assault on the American idea of freedom and national sovereignty. Sachs made it clear that he hopes to enlist the Vatican in a global campaign to increase the power of global religion-dominated organizations. This is an alarming appeal since, historically, a church-directed geopolitical agenda often leads to tyranny. “The Declaration of Independence is not enough to guarantee the outcome that the global elites have devised for us,” he noted. “Global government must make us live our lives according to international standards of development. Global organizations such as the U.N. must dictate the course of nations and individual rights must be sacrificed for the greater good.” Did you get that? It was at that climate conference that the Secretary General of the U.N. announced for the pope his soon-to-be-released Papal encyclical Laudato Si’ (Praise Be to You) on “sustained development,” which invites respect for the world’s natural resources. That document was actually published on May 24, 2015, in eight languages. Its subtitle: “On Care for our Common Home.” It not only addressed global warming and the need to protect the environment but emphasizes Catholic social doctrines, especially related to the economy, anti-capitalism and helping the poor. In it he called for a “global political authority” to save humanity, similar to Pope Benedict XVI’s appeal in Caritas en Veritas, a 2009 encyclical. Laudato Si’ is a blueprint for governing the planet. It has many parallels to the United Nation’s Agenda 21 goals, which begin this month (September 2015). Capitalizing on the intense honor the world paid this encyclical, Pope Francis called a conference on July 22, 2015, of all key mayors from around the world. This conference was called “Modern Slavery and Climate Change.” Governor Jerry Brown of California was a keynote speaker. The mayors were emboldened to support the U.N. goals to end poverty and promote “sustainable development” through Francis’ initiatives. Then, surprisingly, Fr. Edwin Gariguez, executive director of Caritas Philippines' National Secretariat for Social Action, spoke out regarding the “cause” of environmental degradation: “We are strongly opposing coal energy because of its negative effects on the health of the people and the environment. Coal plants are the primary cause of global warming.” Note how easily the Roman church has moved into geopolitical issues. The bottom line? Control every facet of life. “The Roman Church is far-reaching in her plans and modes of operation. She is employing every device to extend her influence and increase her power in preparation for a fierce and determined conflict to regain control of the world.” Interesting. That “universal public authority” will soon be the Holy See with its papal head! There is an urgent appeal to understand what God’s Word has said regarding geopolitics. Speculation is rampant, but there are specific events that are now unfolding. 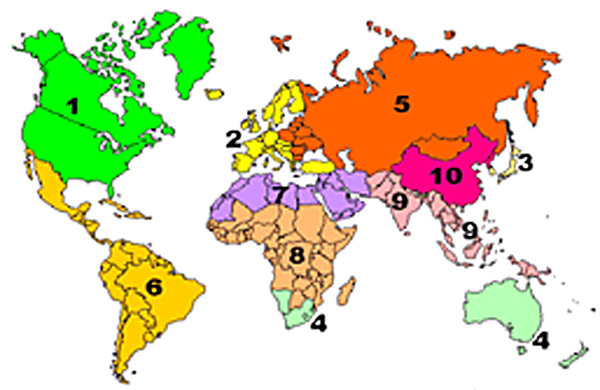 Since 1942 agencies of the U.S. government (especially the State Department) and followers of the Roman Catholic faith, have proposed a world order of ten regions. This was matured by The Club of Rome in 1973. It is important to observe that the ten beast/horns coalition noted in Revelation 17:12-13, which have “no kingdom as yet,” is now forming! In Revelation 13, as the beast arises from the sea, its first noted anatomical parts are its horns. There, they have crowns! The “kingdoms” have then been formed. We are in that Revelation 17:12-13 time. The end is in sight. The transition into Revelation 13:1 will come quickly. It will be then that the world will wonder after the beast by a defiant allurement. This month, September 2015, history will be made by Pope Francis. He will address a joint session of Congress (September 24). The House Speaker is preparing a posh “inauguration-like setting.” This will mark the first time the head of the Roman Catholic Church has ever addressed a joint session of Congress. This is a stunning event! 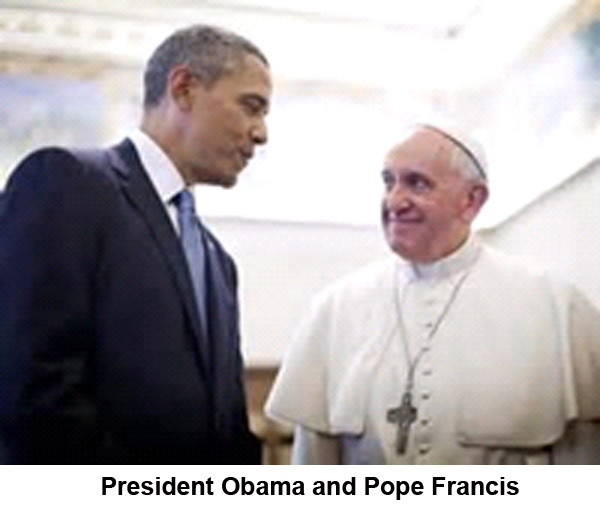 Though addressing a secular body, he represents over 1.2 billion religious Catholic members. Of deeper concern, the “American idea” of God-given rights embodied in the Declaration of Independence will be challenged by Pope Francis. He is no friend of capitalism. He will also address the largest gathering of world leaders in history at the United Nations on its 70th anniversary, September 25. There, the Pope will call on those leaders to embrace a New World Order. Expect a major move toward establishing that geopolitical authority, focusing on Rome’s leadership. “At the center of both speeches [to Congress and the U.N.] will be a call to work for the common good – not just the interests of their campaign supporters or even of all their constituents – with a vision that recognizes, as the pope repeatedly says, that there is only one human family and that people have a shared responsibility for others and the world. This will cover world economics, agriculture, education and gender equality. It is at that meeting that the U.N. will adopt the “Post-2015 agenda for the world” (A New World Order). Then comes the World Meeting of Families in Philadelphia, PA, September 26-27, 2015. The Pope will be speaking from the lectern used by Abraham Lincoln when he gave the Gettysburg address. In turn, a sine qua non for the “family of God” of the Universal Church will be setting aside a “day” for the family, for rest and for religious purposes. For those wishing to expand the scope of “global governance,” the meetings the Pope will be attending at the United Nations will provide the “perfect umbrella” to position the papacy’s global leadership. Never before has the Vatican given so much support to a geopolitical agenda as the “Post-2015 Sustainable Development Goals.” Never before in recent history has the world reached out to the “moral leadership” of the Vatican as now. Pope Francis is also moving to unite, geopolitically, religious leadership from around the world. In his climate change encyclical, Laudato Si’, he notes that religious institutions can and should take the lead in bringing about the proper change in attitude toward Creation. That is ecclesiastical–geopolitical “manipulation”! The churches might not unite on doctrinal or liturgical issues, but who can challenge the moves toward protection of God’s creation? “Everyone” is being drawn into those Vatican ideals. International standards of ethics are already being formulated for the “greater good” of humanity. A “moral dimension” is being placed within geopolitics. This is to be closely watched. Much is at variance with Scripture. It won’t be long before one’s unique loyalties to Christ and His saving truth will be challenged. How valuable has the blood of Christ been to you? Would you be willing to risk everything for heaven? Levin, Mark R.; Liberty and Tyranny – A Conservative Manifesto (Threshhold Editions, New York, NY), p. 17. McNott, Marcia; Editor in Chief, Science Magazine, September 19, 2014, vol. 3:45, p. 1429, issue 6203.
 http://static3.nydailynews.com/polopoly_fs/1.1785857.1399648450!/img/httpImage/image.jpg_gen/derivatives/ article_970/529614603.jpg (cf. Zenit.org, May 9, 2014). Associated Press, July 22, 2015. White, Ellen G.; The Great Controversy, pp. 565-566. White, Ellen G.; Testimonies, vol. 7, p. 182. Gaudium et Spes, Vatican II Council, 1965, p. 82. Fowler, Franklin S.; The Last Geopolitical “Order,” pp. 1, 4. White, Ellen G.; The Faith I Live By, p. 329.